Engraved from the latest authorities for the use of young students in geography. London (42 Skinner Street) : John Wallis, circa 1813. Engraved map of Asia and Australia, trimmed as issued without title or imprint, original hand colouring, pasted on wood and dissected into pieces (two of which are in facsimile, the Caspian Sea and central Tartary), housed in the original publisher’s cedar box with sliding lid, printed title label, signed by Wallis, contemporary pencil inscriptions from the Roe children, some age toning but complete and in fine condition. 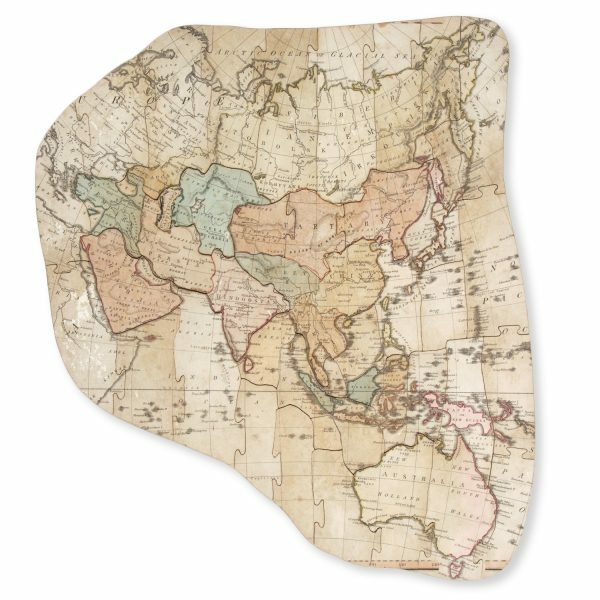 The first known puzzle map was issued by John Bowles in 1759; John Spilsbury began manufacturing In 1767, and the London map seller, publisher and maker of board games John Wallis produced his first puzzle map, Darton’s Kings and Queens, in 1788. 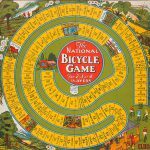 By the beginning of the nineteenth century the puzzle map had become a popular pedagogical aid. 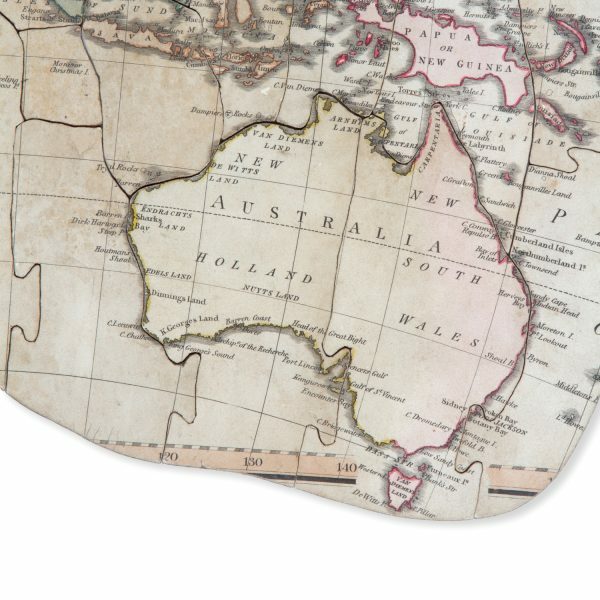 In 1813 Wallis acquired the rights to publish Laurie and Whittle’s maps as jigsaw puzzles. These were probably the last to be made by John Wallis himself, as from 1814 his son Edward became principal puzzle maker in the family business. John Wallis’ advertisement for his series of Laurie and Whittle puzzle maps included the false claim that he had invented the puzzle map: ‘J. Wallis the original Manufacturer of Dissected Maps and Puzzles (having dedicated a full 30 Years to that particular line of business) requests the Public to OBSERVE that all of his dissected Articles are superior both in correctness & workmanship to any in London, & that none are genuine but what are signed on the label’. John Wallis began trading from 16 Ludgate Street around 1775 (as The Map Warehouse). 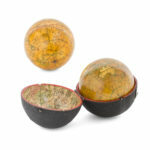 He would later trade from 13 Warwick Square (1804) and 42 Skinner St (1812). 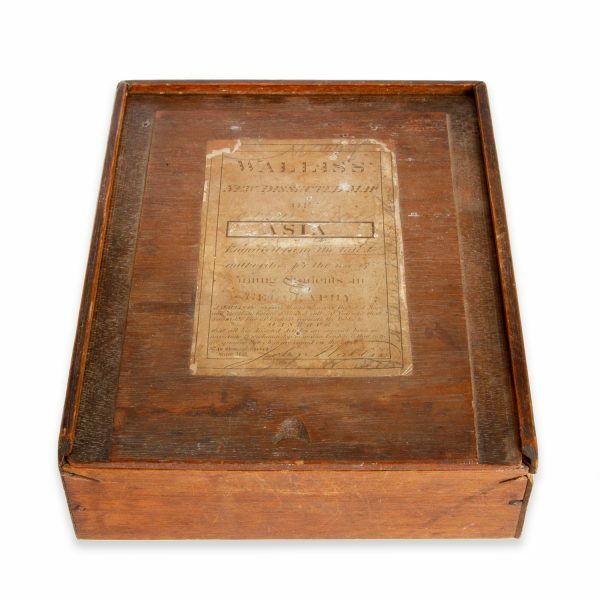 Wallis was a prolific publisher of games, puzzles and maps; upon his death in 1818 he was succeeded in business by his sons, who continued to be active until about 1847. The puzzle is one of a series, the slip title ‘Asia’ pasted onto the printed label. On other examples located in institutions, the title label has been substituted with ‘America’, ‘Somerset’, ‘Europe’, ‘World’ etc. On the Australian continent, the city of ‘Sidney’ is marked, with Port Jackson and Botany Bay also noted. Not in Hannas; not in Whitehouse. No other example located in institutions.